In 2012 during my time in Grad School, the university let me play Real Estate Developer for the first time and sent me off in the world to try and make a deal. This is the first time I sought out my own development site, researched zoning, determined the highest and best use, sourced construction loans, talk through the deal with brokers and created a full development deal book that was reviewed by industry experts brought in by the University. This was the cover photo of my investment memo, for a deal I named Thompson Lofts at 44-46 Purves Street in Long Island City. 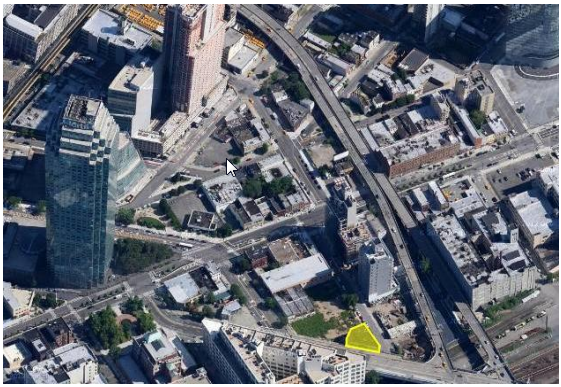 This site was on sale in the spring of 2012 at $130/buildable SF. I was going to create a project that would bring a unique residential loft product to this market at prices affordable to those who were working as local artists or at Silvercup Studios. Not super luxury, but a great location, and no subsidy needed from the city. 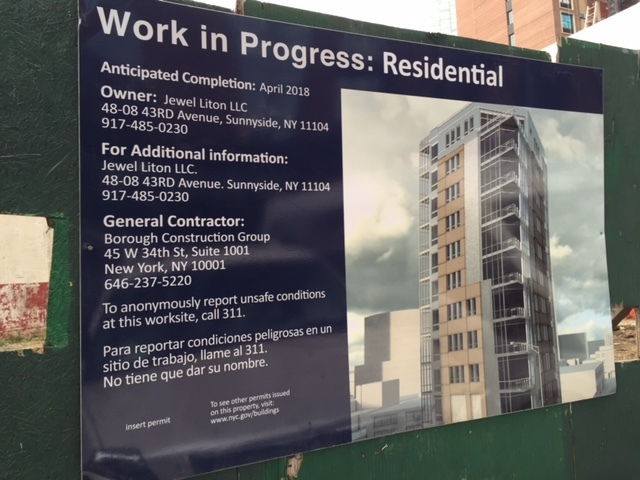 57 units, and a total development cost of close to $13 Million, $387/SF after construction cost (yes, I realize now, that number was not realistic) . But alas, most investors do not take on the risk of ground up development for mediocre returns to satisfy a social mission, without some incredible incentives or upsides. Which is why I believe the current owners waited out the LIC market, and will now deliver this product at rents 20% higher than what I proposing. Fast forward a year, and the site is purchased, allegedly by an investor who plans a hotel. Deal goes quiet for a couple years, I research online every once in while and found nothing promising. In 2015, the same owners scratched their hotel plan (LIC was completely over saturated with this product type), and envisioned a residential building that gave some honor to my my original idea. They’ve modified the plan to include a retail space on the Thompson street side, and fit about 33 residential units with a Purves Street lobby. Exit cap rate today would conservatively land at 5.5%, and this would have balanced the increases above and leveled the returns. Rents underwrote them at an average of $46/sf/yr, for a high end product they are likely upwards of $55/sf. I’m excited to see the Jewel Liton, LLC venture develop this site, I cannot wait to report on the construction as it develops.